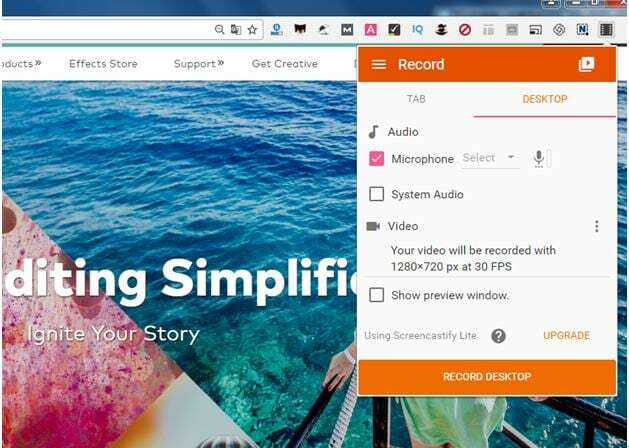 The best alternative for you to record screen easily on Chrome. Screencastify is a well known video screen recording software tool that works with Chrome. You can enjoy rich quality of videos recorded with this software program and it focuses on activities inside tab as well as on audio signals. You simple need to press record and the contents from tab start recording automatically. People love to use this software tool for creating tutorials and for developing presentations. This software can be also used on desktop platform for recording screen activities. As this software does not require any additional software extension for processing so it can be effectively used with Chromeboxes and Chromebooks. There are three plans available for subscription of screencastify and it can complete all your screen recording needs easily. 1. Screencastify Lite: It is available for free and can record videos up to 10 minutes. But you will find a screencastify logo embedded in your final output. So it is good to try this for learning purpose only, is not preferred for professional needs. 2. Screencastify Single user: You have to pay €24 to access this version of screen recording software. 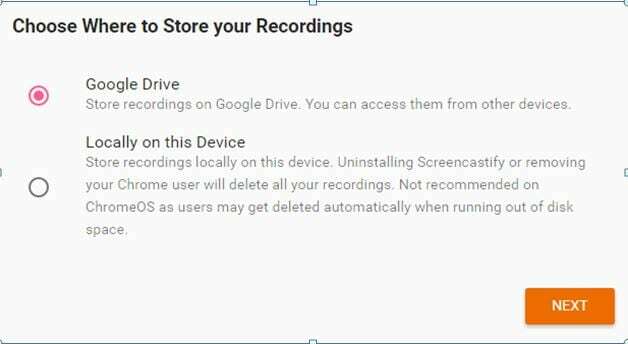 The best thing to know about this plan is that it allows unlimited recording facility over a single Google user account that can be logged on any device from anywhere. Assists in basic video cropping needs and comes without any branding. 3. Screencastify for Organisations: If you want to run a lab with this software tool in your organization then you have to contact company officials for requirement and pricing details. They will provide centrally managed multiple licenses for your institution as per need. This software tool is compatible with Linux, Window and Mac platform. Screencastify contains basic drawing tools that are essential for creating interactive lectures or tutorials. Created files can be easily shared with other users. If you want to access full features then you have to pay $24 per year. The free version results watermarks in recordings. Time limit for free version supported video recording is 10 minute only. There is no support system available for free users. The desktop recording is not smoother. Step 1: Download your software tool from Chrome Web store or via Home page of Screencastify. Install it. 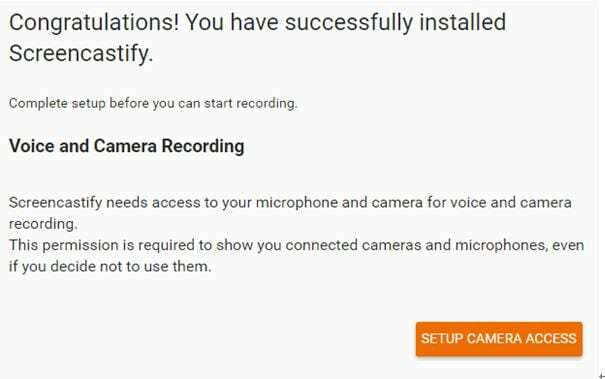 Step 2: Now do basic settings for camera and voice on your system. Step 3: It is time to select your preferred storage place. Step 4: Sign in account or you can skip if you are a free user. Step 5: Now go for tab recording settings as per your needs. Step 6: Finally finish the survey and then hit Ok button. Step 7: The recording settings are finished now and you can switch to record. Step 8: Once your recording task is complete then hit Stop recording button on screen. Although this software tool is much easier to use but it cannot be considered as a stable solution for professional users. Many users have reported its crashes and it also consumes so much time while saving recorded files. Thus many of you might need an alternative to Screencastify to enhace your screen recording experience. Wondershare Filmora scrn is one of the most preferred software tools for all your needs and can serve like most advanced alternative to Screencastify. It comes with all basic and advanced editing features. It works for Mac as well as Window platforms.